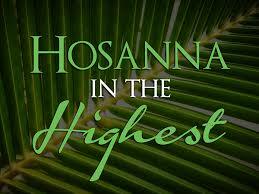 Today, Christians around the world are celebrating Palm Sunday. This celebration marks the triumphal entrance of Jesus into Jerusalem, the week before his death and resurrection. Palm Sunday begins the Holy Week, which ends on Easter Sunday. When you explore the message in Mark 11, you can see that Jesus’ entry into Jerusalem is something to be excited about. This is so, because, although His time was drawing nigh where He would be tortured and died on the Cross, the victory that would be gain, would be greater than the pain. Today, sinners can have a second chance because of this great victory. This reminds you that when you are going through your darkest moment, you should rejoice, because the victory you will gain, will ultimately be greater than your pain. Thank you for your like of my post on “Church Plants and Cell Groups.” You are very kind. May our Lord Jesus richly bless you. Bless the Lord Minister Ferguson! i continue to read and enjoy your postings and i thank God for the way He is Inspiring you to inspire others. 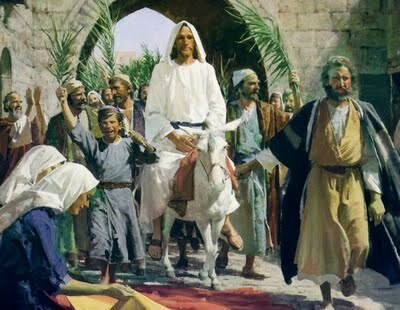 While i also reflected on Palm Sunday, a strong word dropped in my spirit which i highlighted to my congregation… and it is this; when the 2 disciples went to lose the colt which they did not own, Jesus knew they would face strong opposition and questioning and so Jesus told them that if ask why they losing it, to say He/the Master need of it! And it came to pass as Jesus said. The message here is how powerful the name of Jesus is!!! I have no doubt that the disciples said Jesus need the colt and i just imagine how they froze! or hastily surrender the colt! Likewise we just need to plead the name of JESUS when we faced with undue opposition in getting the work of God done. Keep up the good work my sister. Love You. Jesus is awesome. Yes, there’s something about that name. God bless! Thanks for stopping by Bishop, and taking your time to comment. We’re praying for you all. Love you my brother in Christ. Truly great message you have shared today. Thank you my friend and do have a blessed and prosperous week as the Lord has ordained it for you. « Are You In Turmoil Today?